You have only 10 moves. This level has easy difficulty and have new requirement. 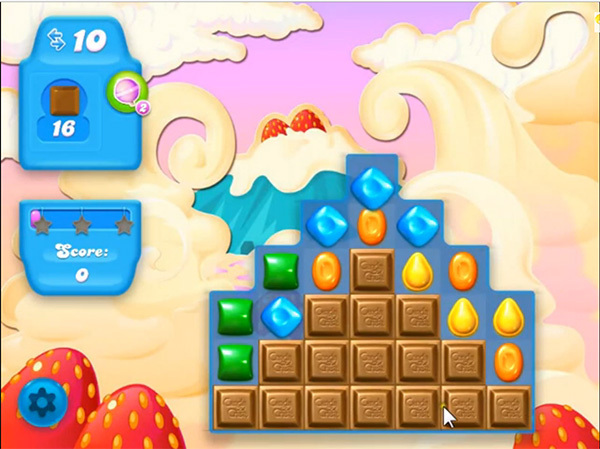 For this level you should try to play near chocolates and break candies near to them. Try to play more from bottom to easily break chocolate and try to break candies in rows like vertically instead of horizontally to break more chocolates in less moves. This was helpful. I am horrible at this type of game but really want to get better..any advice?